Raghuram Rajan is at it again, taxing my powers of alliteration. His latest column in Project Syndicate contains what seems to be to be an even denser thicket of mistaken assumptions and does-not-follow conclusions than his assessment of why economists didn't predict the financial crisis. Rajan has two theses: 1) that democratic governments are not good at planning for the long term, and 2) that the current crisis has caused Americans to lose our faith in government. Democratic governments are not incentivized to take decisions that have short-term costs but produce long-term gains, the typical pattern for any investment...The build-up of public debt in industrial countries (which was rising briskly well before the Great Recession pushed it to near-unsustainable levels) reflects this kind of calculus. This is correct. Since future generations cannot vote, democratic governments have an incentive to overweight the present. But Rajan's statement is also misleading, because it implies that non-democratic governments do better. The evidence says that they do not (see here and here). Rajan seems to believe the common fallacy that autocratic governments answer to no one, and thus have a free hand to make far-sighted investments, as long as the despot happens to be an enlightened one. In fact, autocratic governments also have to answer to someone - but instead of the people, it's usually a mix of army officers, party cadres, local officials, and mafia goons. There is always a selectorate, and they always have to get paid off. And in an autocracy, those payments can get really expensive, since the selectorate has the autocrat over a barrel - if he loses his job, he doesn't go off to fish at his ranch, he gets filled with lead and hung from a gas station roof. This is why democracy, as Churchill said, remains the best of a menu of imperfect options. Even if inaction (or action oriented towards the longer term) is the best policy, it is not an option for democratically elected politicians, whom voters expect to govern, which inevitably means action with the potential for quick results. A sympathetic press amplifies heart-rending stories of lost jobs and homes, making those counseling against intervention or advocating longer-term fixes appear callous. Again, he's not formally wrong. I wish our government spent more on infrastructure, research, and education (far-sighted stuff), and less on short-sighted tax cuts. But somehow I doubt that this is what Rajan is talking about. He seems to be supporting a kind of Austrian model of the business cycle, where recessions are a necessary, even refreshing, structural adjustment. That would put him in what DeLong and Krugman call the "pain caucus." Let's just say I agree with DeLong and Krugman; structural adjustment happens more quickly and easily when there are not legions of discouraged workers sitting at home for years letting their skills deteriorate. The public rewards democratic governments for dealing with the downside risk caused by competitive markets – whether by spending to create jobs or by rescuing banks that have dodgy securities on their balance sheets. So, to reiterate: Our government was forced to bail out the banks by popular pressure. Now people are angry at the government for bailing out the banks! The people are furious that the government does what they tell it to do! I suppose this could happen if the electorate were totally bat-shite insane. But a more likely explanation is that Rajan just didn't proof his column very carefully. In the US, this sentiment has fueled the Tea Party, which coalesces around opposition to government expansion (and to elites more generally), even if that expansion is aimed at regulating big banks (presumably because government regulations tend to be shaped by the powerful among the regulated). First of all, Rajan thinks the Tea Party's main issue is banking regulation. This is absurd. Doesn't Rajan read the news? The Tea Party says that their main issues are (lower) taxes and (lower) spending. Rajan. however, imagines that Tea Partiers are marching and shouting and shaking their fists because they're all riled up about regulatory capture by banks. Seriously?? One factor diminishing the likelihood of governments intervening more directly in markets is that the recent crisis seems to have discredited government as much as it discredited the financial sector...The US is not alone in having a discredited government. [T]hree undesirable possibilities loom large...One is that [governments] intervene directly in markets, both domestic and across borders, to reduce competition and volatility while they rebuild their buffering capacity. Another is that they muzzle democracy to suppress public anger. A third is that they find scapegoats...[A]s the 1930’s showed, it is hard to imagine any possibility worse than where this type of behavior can lead. I think Rajan is right to worry about this. But he's just written a whole column (and others in the past) implying that he himself doesn't think democracy really delivers the goods, and that government can't do much for the economy in the short term. He can't quite seem to decide if he's upset that people are losing faith in government, or triumphant. And given Rajan's ranting against short-term pandering by democracies, it's interesting that he would choose the 1930s as his cautionary tale. In that decade, it was precisely that "pandering" - Keynesian policy and increased regulation - that saved the U.S. and Britain from the fate of Germany, Italy, etc. Germany and Italy decided that democracy was inferior to an enlightened, far-sighted despotism. Look where that got them. Rajan and I agree on many things here. We agree that our government needs to step up its commitment to long-term provision of public goods, including better regulation and fiscal responsibility. But Rajan apparently thinks that this process will be helped by econ profs standing on the sidelines and egging on the Tea Party with shouts of "Government spending is waste!" and "Democracy is inefficient!" Call me crazy if I think that's a bad idea. Thanks for the analysis, and for introducing me to the work "selectorate". When people are talking about how wonderful enlightened far-sighted despotism I see a lot of examples from Asia. These examples often reveal a complete lack of understanding of how Asian governments work or even of the fact that they all work differently. @ Helen, I heard the word "selectorate" in an Econtalk podcast about 3 years ago. Bruce Bueno de Mesquita spoke about the political economy of power in a very informative way. I highly recommend listening to it. I suppose this could happen if the electorate were totally bat-shite insane. But a more likely explanation is that Rajan just didn't proof his column very carefully. OK. But I must point out that these are not mutually exclusive propositions. @Anonymous Thanks for the link because now I know that "selectorate" does not mean what I hoped it did. In that podcast, Bruce Bueno de Mesquita does exactly what I was talking about. He ascribes all of ideas behind the Great Leap Forward to one individual, Mao, when that he was not even the author of the particular idea that he mentions. He also seems ignorant of the constraints under which Lee Kuan Yew, Singapore's first prime minister, had to operate. What I would like are means to describe why leaders such as Lee Kuan Yew have to fake elections. Aboutt the bailout commentary: I think that what Rajan (apparently accidentally?) described is exactly right - people wanted to bail the banks out when we thought the world would end if we didn't. But then, when the bailout failed to immediately produce good results for anyone other than bank executives, everyone got angry because the solution didn't work. Then we instantly forgot that we advocated the bailout, abdicated all responsibility for it, and blamed the government. I think it's a perfect example of the short-sightedness this article is talking about. Who supported the bank bailouts? I remember people being concerned about the amount of money being spent. I know a lot of people who were concerned about the stability of our banking system and about the ability of small businesses and individuals to get necessary loans. Many of those people are now criticizing the bailout because it is still difficult for small businesses to get loans. That is not short-sighted; it is being consistent. Just because you support the government taking action does not mean that you give up the right to criticize the results of those actions. 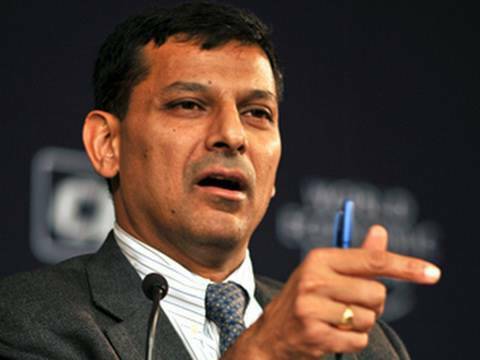 Rajan posits a false dichotomy: the bailouts or nothing. We had other options for intervening (e.g., the Swedish model). I found Rajan's op-ed maddeningly oblique. I don't know what he means by "to undertake long-postponed reforms that will create sustainable growth with less need for government buffers". I don't know what he means by, "the downside risk caused by competitive markets" either, or what he intends to signify, when he identifies as an undesirable prospect the possibility government might "intervene directly in markets, both domestic and across borders, to reduce competition and volatility while they [government?] rebuild their buffering capacity." I get the idea that he thinks the New Deal was a bad deal, but not any specifics about how. In a pattern I find typical of economists, Rajan thinks in abstract terms, but, apparently, doesn't know enough about the actual economy, its institutions or its history, to put his insights -- genuine, profound or subtle as may be -- in any sort of sensible order or denotative correspondence. Rajan introduces his piece with reference to an abstract model of investment: sacrifice current consumption (short-term cost) for long-term gain. (Under my government, he'd lose his Ph.D. for writing, "incentivize" in a sentence.) But, then, he goes on, in the second paragraph, to explain why government cannot incur short-term costs for long-term gains, by reference to a completely different model: one of decision stalemate between conflicting interests or views. Noah, in his recapitulation, runs with the first model, positing that the living underinvest relative to the interests of posterity. But, that's not how Rajan explains his thesis, which runs more along the lines of governments -- especially democratic governments -- not being able to reconcile conflict among the living, cleanly. Rajan doesn't give an example, but I imagine that he's thinking of something like Boston's Big Dig, where the expense of a major infrastructure project ballooned, as those adversely affected had to be bought off, with the project also delayed, as various groups staged legal and political holdups, in order to get the side-payments. As a matter of politics, Rajan's may express an authoritarian wish, as Noah clearly surmises. But, it is not without merit as a description. Politics is about income distribution. Shocking, I know. One could write a history of the Great Depression, as one prolonged dispute over income distribution, which, because of WWII, was won decisively by the middle classes. And, one could write an analysis of the GFC and Great Recession, in which the kleptocratic banks staged a coup, and took over the U.S. government. In fact, I think someone has written an analysis exactly like that. I don't think Rajan wants to admit, even to himself, which side he prefers to take, in that conflict, which is why his essay is written with such a distant perspective, and such a distorted idea of what the Tea Party is all about. There are some examples of despotic governments that produced strong environmental/conservationist results. In particular, there is The Dominican Republic of the 60's, and the Tokugawa Shogunate of Japan in the 1600's. These are documented in Jared Diamond's Collapse. How can you claim that Rajan said that non-Democratic governments are good at thinking about the future? He said no such thing. He said Democratic governments are bad at it. That does not imply anything about non-Democratic governments. The statement that A is not good at something does not imply that not-A is good at it. It just does not follow. If we say that developing countries have problems helping the poor, it does not follow that rich countries are good at helping the poor. I agree with Barry. See his recent working paper on sovereign debt where the authors categorically point out that autocrats are equally bad, if not more, in lacking long-term vision. Autocratic regimes are often unstable and have to focus on short-term measures of assuaging people.